Easy access to transportation and availability of daily goods and provisions are vital factors that produce a strong and healthy community. When access to these components is available to everyone in the neighborhood, each member of the community has the opportunity to prosper. The ability to get around and be mobile within the neighborhood depends largely on physical ability, economic opportunity and available modes of transportation. The history of Washington Park and Martin Drive neighborhoods alerts us to different periods when changing modes of transportation and shifting availability of local resources produced distinct living conditions and neighborhood life. We explored these cycles by exploring historic and current events, examining documents and archives, analyzing oral histories, and interpreting visual information. Vliet Street is a commercial corridor cutting through the Martin Drive and Washington Park neighborhoods. Different modes of transportation and changing types of businesses have made life along Vliet Street change over time. These changes also coincide with periods of economic and social growth, decay and resurgence in surrounding neighborhoods. The early history of Vliet Street depicts a vibrant commercial corridor. Around the turn of the 20th C.West Park, now known as Washington Park, was established. The park housed the Washington Park Zoo, a huge attraction and destination that brought in tourists and business to this area. During this period, many of the buildings along Vliet Street housed greengrocers, butchers, tailors, doctors, and other essential businesses and services. The streetcar line from downtown Milwaukee that ended just blocks away at Cold Spring Barns connected this neighborhood to the city. With increasing popularity of the automobile and introduction of the Milwaukee County Transit System’s bus line, the streetcar was decommissioned in 1959. Also around this time, in 1958, the zoo moved out of the park to its current location. These two events, as well as increasing suburbanization, drew residents and business away from Vliet Street and its surrounding neighborhoods. Limited transportation options for local residents, many of who were not able to own an automobile, made life difficult and access to services limited. Subsequent years showed signs of economic decline in the area surrounding Vliet Street. Businesses that had once been part of the vibrant commercial street were losing customers and profit. Many older stores were converted into taverns, convenience stores, liquor stores, cell phone stores, and tobacco stores. Others closed permanently. As a result, access to groceries, health care, and other essential services was limited within the neighborhood. The only mode of transportation for those without automobiles remained the city bus which was inconvenient at best. With little access to transportation and resources along Vliet Street, the neighboring community struggled to maintain its previous standard of living and vibrancy. 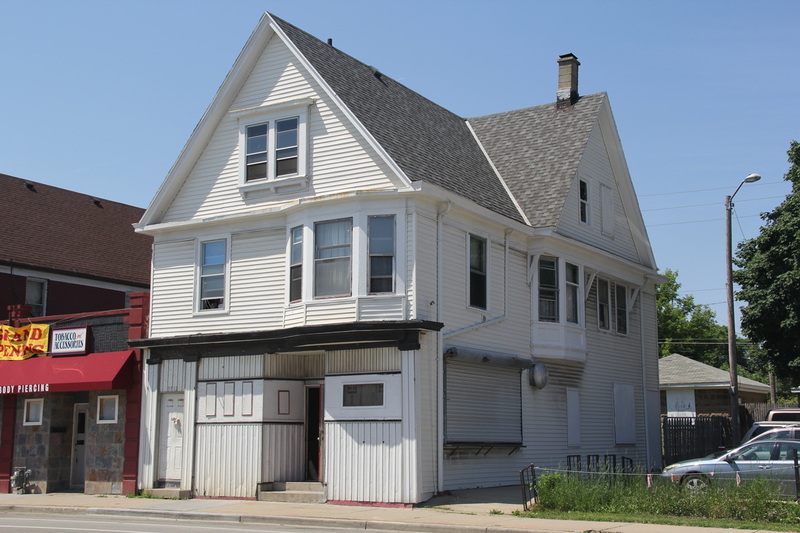 Recently, new businesses started returning to Vliet Street. These businesses give the community access to resources without need to travel as far. There remains a need for stores selling fresh groceries and better health care institutions within the community. Our historical analysis of buildings, businesses and neighborhoods along Vliet Street paints a picture of dynamic transformation. Vliet Street has survived and flourished despite these transformations. Its history points towards a certain social and spatial resilience that made the street survive over the years and this quality needs to be nurtured and maintained. Our research points towards the importance of accessibility as a central issue that frames successful urbanity and culture. Bus line 33 on Vliet Street. Bus lines on 43rd and Vliet. Map of bicycle routes in Milwaukee. Map of streetcar line in 1938. There are multiple forms of transportation connecting the Washington Park and Martin Drive neighborhood to the city of Milwaukee. Public transit, provided by the city, is available to a variety of citizens at a nominal cost. Private automobiles, while convenient, depend on the owner and may be expensive to maintain. Walking and cycling are good options but are time consuming. Pedestrians and cyclists are not able to carry large objects or travel long distances. Accessibility also depends on the availability and existence of nearby businesses and institutions as well as the nature of goods and services they offer. Access to groceries, health care, religious services, banking, security services, recreational spaces, and many other resources are necessary to keep up healthy lifestyles and social relationships. 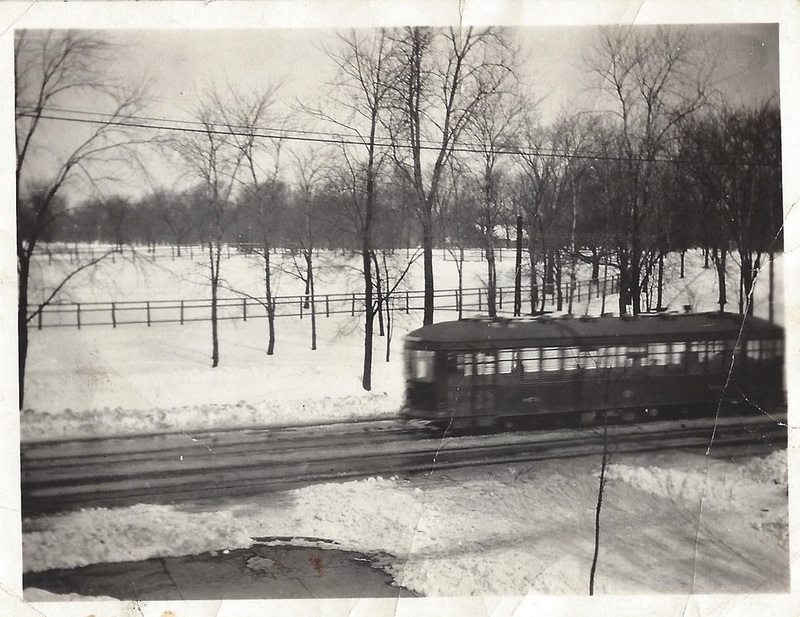 This streetcar ran along Vliet Street, providing transportation to residents and visitors of the area. 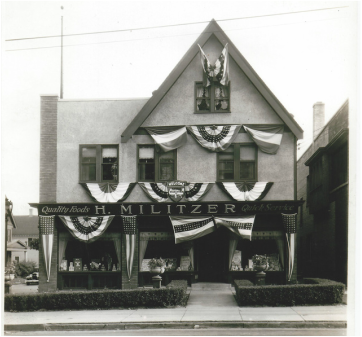 Militzer's Grocery Store on Vliet Street. Well stocked grocery store on Vliet. Current view of a boarded up storefront. 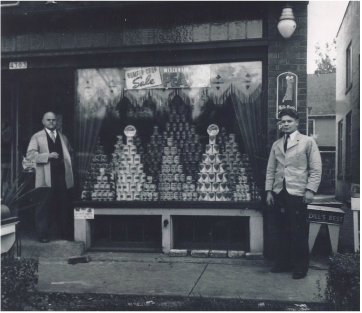 This building housed a clothing store, bakery, jewelry shop, repair shop, and blind cleaner before 1960. After it housed various restaurants until it came to its current state. Importance of walkable streets and accessible cities. A Ted Talk by Jeff Speck.